As healthcare organizations continue to strive to meet the needs of the changing healthcare climate, many are faced with making changes to their overall service delivery models. Hotel Dieu Shaver Health and Rehabilitation Centre spent several months developing a plan that would prepare the hospital for upcoming changes and ensure future organizational effectiveness, better patient experience, optimal performance, and long-term financial health. 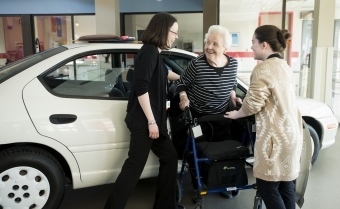 In November 2014, the organization announced to its staff that they would be moving toward a new Rehab Service Delivery Model targeted to be implemented in April 2015. This new model, introduced as “The POD Model” is an interprofessional collaboration system. In this primary service delivery model, teams are comprised of various healthcare disciplines working together towards common goals to meet the needs of a patient population. All patients will benefit from working with a healthcare team that is integrated by core competencies, best practices, targeted education and expertise. The team also shares information to support one another’s work and coordinate treatment to deliver person centred rehabilitation care. Several drivers and guiding principles of this new model include: (1) Increasing Rehabilitation Intensity, (2) Strengthening Interprofessional Collaboration & Team Work, (3) Strengthening Best Practices & Expertise, and (4) Optimizing Organizational Performance. 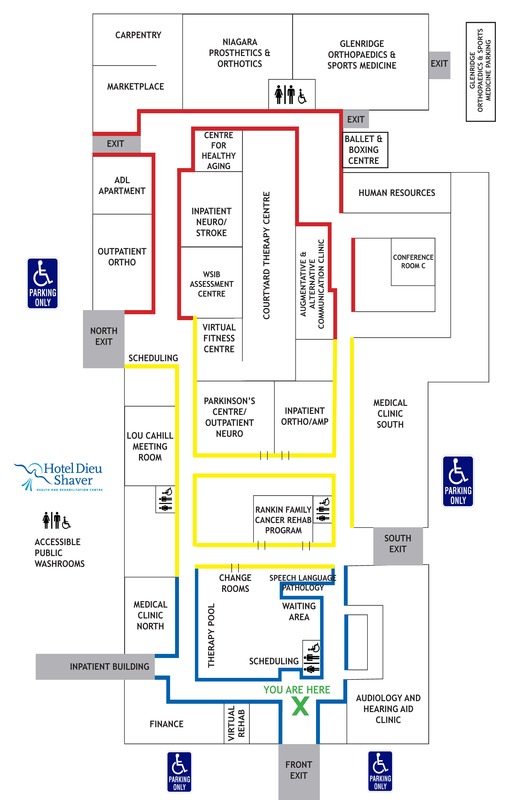 In addition, Hotel Dieu Shaver has converted its 1st floor into a blended unit model, which includes clustering patients by patient groups and diagnoses. In this new primary delivery model, patients are clustered so that a patient will receive rehabilitation services in accordance to their diagnosis, their needs, their tolerance, best practice recommendations and not as a result of their room location. Through this POD system, a patient will be able to work with an interprofessional healthcare team that includes expertise in their focus of treatment. Hotel Dieu Shaver supports a person-centred care delivery model – putting the patients first. Person centred care involves respecting human dignity through patient advocacy, empowerment, and respecting the patient’s autonomy, voice, self-determination and participation in decision-making. This new rehabilitation model is reflective of what is more relevant in today’s rehab world and allows each healthcare discipline to work more cohesively and focus on the needs of its patient.